Sen. Joe Manchin met with U.S. Supreme Court nominee Brett Kavanaugh on Monday. 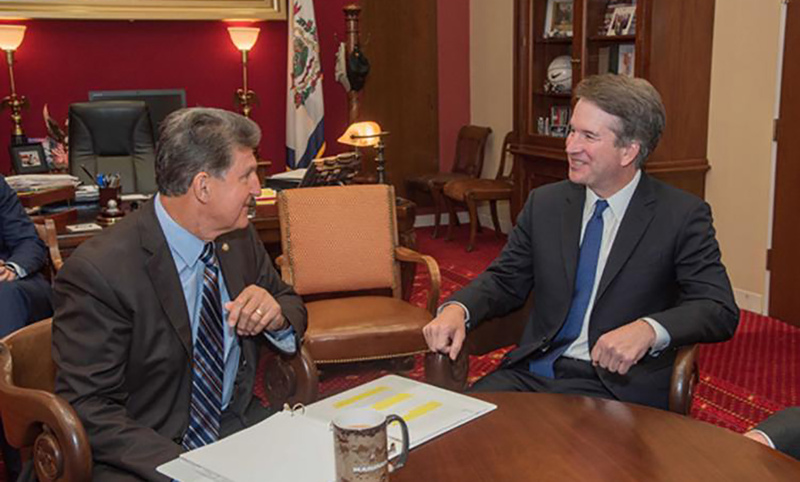 CHARLESTON, W.Va. — Sen. Joe Manchin met with U.S. Supreme Court nominee Brett Kavanaugh on Monday, making him the first Senate Democrat to meet with President Donald Trump’s second candidate for the bench. The meeting came amid an escalating re-election fight for Manchin in a state overwhelmingly supportive of President Donald Trump. Manchin declined an interview request to discuss the meeting. In a statement, though, he said he will not make a final decision until he has completed a full review of where Kavanaugh stands on the issues, with a focus on health care and the Affordable Care Act.